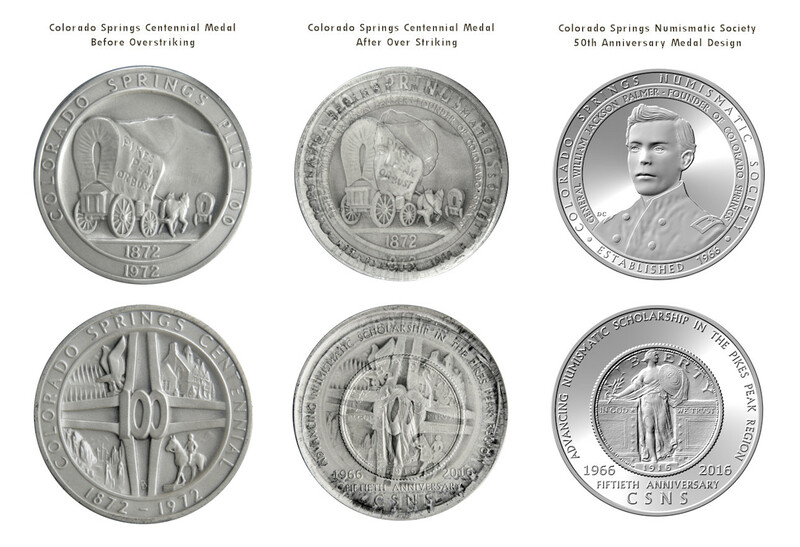 To celebrate the striking of our 50th Anniversary Medals Daniel Carr hosted a "Striking Event" for society members at the Moonlight Mint on March 19, 2016. 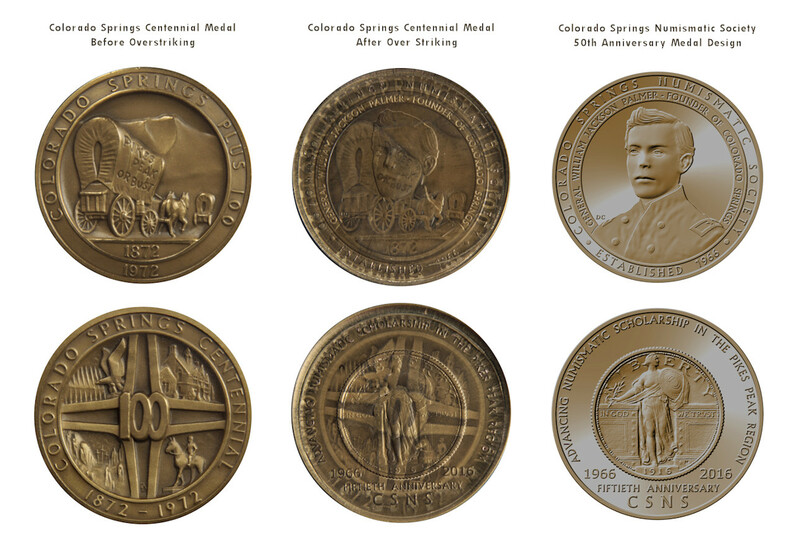 In addition to a tour of the mint and observing the final production steps for our satin finish medals, attendees were able to bring coins and medals to overstrike with the 50th Anniversary medal design. A total of 46 overstrike medals were produced. 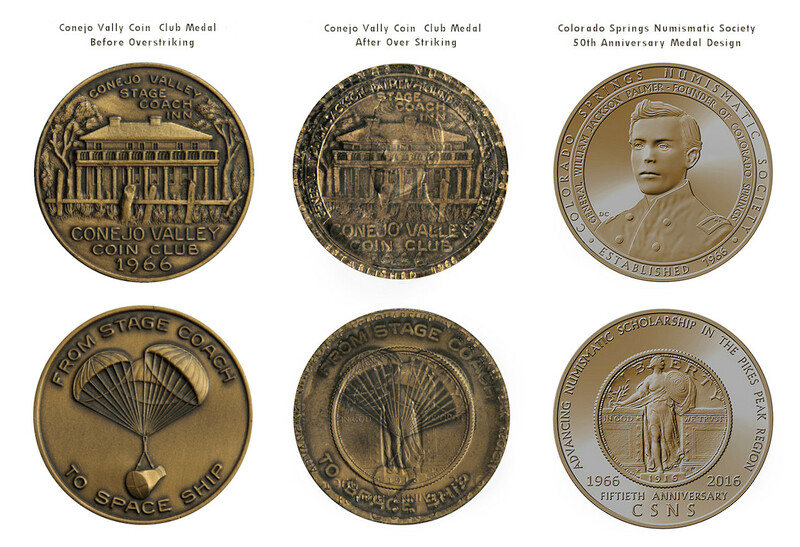 On April 20, 2016 Dan again invited society members to an event at the Moonlight Mint to complete production of our proof-like finish medals. He also offered to mint proof-like overstrike medals for those who attended the event and 30 overstrike medals were created. 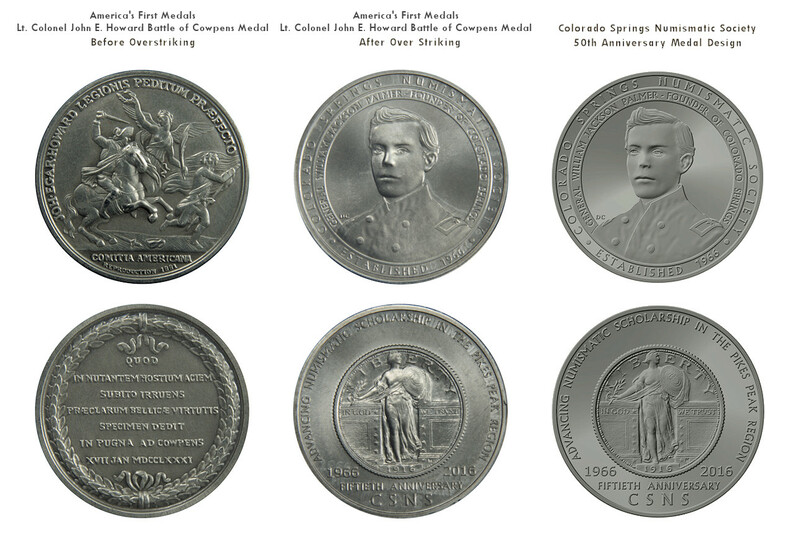 As overstrikes, all of these medals are scarce with many being unique due to the coin or medal that was overstruck, its metallic content or both. Listed below is each piece that was overstruck at the event.